What Are BAP RFID Tags? Sometimes called Semi-Passive or Semi-Active, Battery-Assisted Passive (BAP) tags are essentially passive RFID tags with an internal battery. Because these tags wait for a signal from an RFID reader before they respond, they function similarly to active transponder tags. When a BAP tag receives an RF signal from an RFID reader, the internal battery turns on and powers the integrated circuit (IC) which is then modulated with the tag’s relevant information. It then backscatters, or returns a signal, to the RFID reader in the read zone. The tag uses its battery to send the signal much farther than traditional passive RFID tags, ranging up to around 100 meters in an ideal setting. Because it has greater range than a passive tag (and is typically more expensive than a passive tag), yet not quite as much range as an active RFID tag (and is typically less expensive than an active tag), it can be considered a “middle of the road” option when increased range is required for an application. Along with increasing the read range, the internal battery also allows the tag to be able to incorporate a sensor monitor. Sensors allow a tag to monitor temperature, moisture levels, and other select indicators. For example, BAP tags with integrated sensor monitors can be placed on food or other items during transport to ensure the temperature stayed within the predetermined parameters for safe transit. Because BAP tags do not beacon, they usually have a slightly longer lifespan than active tags – usually around 5 years in length. Unfortunately, similar to active tags, there is not an easy, cost-saving way to replace the batteries; so, once the batteries die, the tags must be replaced. BAP tags are generally large and rugged and, because they also contain batteries, they usually cost anywhere from $10 – $25 per tag. If an application is already using Gen2 passive RFID hardware, but needs more read range than the passive tags can provide, BAP RFID tags are able to provide just that. Unlike active RFID tags, BAP tags work with the same Gen2 RFID hardware as passive RFID tags – allowing these two types of tags to work together within the same application. Though there are not many BAP tags on the market, the industries and applications that may be able to use them are plentiful. Making up the bulk of applications is asset management, prominently in industries such as logistics and manufacturing due to the size and scale of the operations. For example, Air France Industries KLM Engineering & Maintenance is using BAP RFID tags in its logistics in order to cut costs associated with expensive parts and packaging materials. Readers set up across multiple buildings and trucks used for transportation enable KLM to manage the flow of parts and ultimately reduce the cost of packaging by 50 percent. BAP RFID tags were chosen for this application due to the long read range necessary in the large facilities and shipping trucks. BAP tags, in conjunction with a custom software solution, provided KLM with the results it required by removing manual processes and making the logistics virtually hands-free and paperless. To learn more about battery-assisted passive tags, please contact us or comment below. « Active RFID vs. 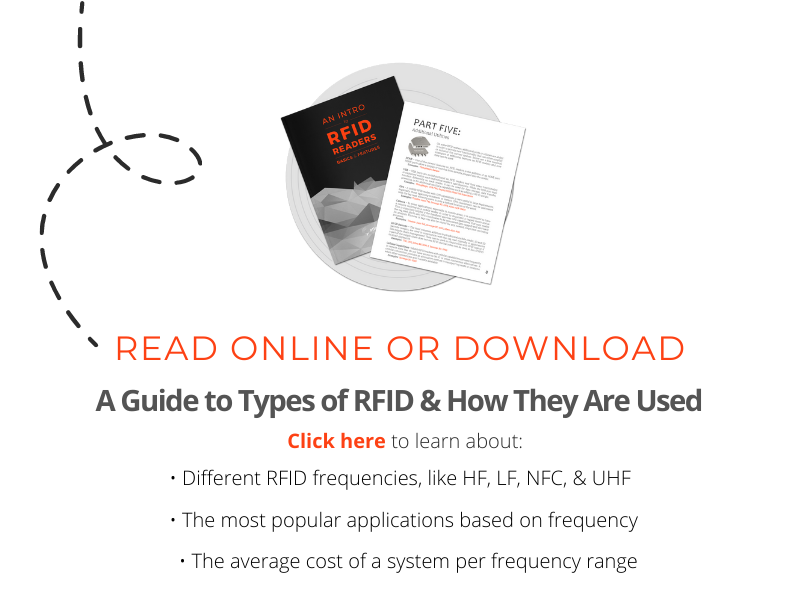 Passive RFID: What’s the Difference?